Pattaya is only 147 km from Bangkok. 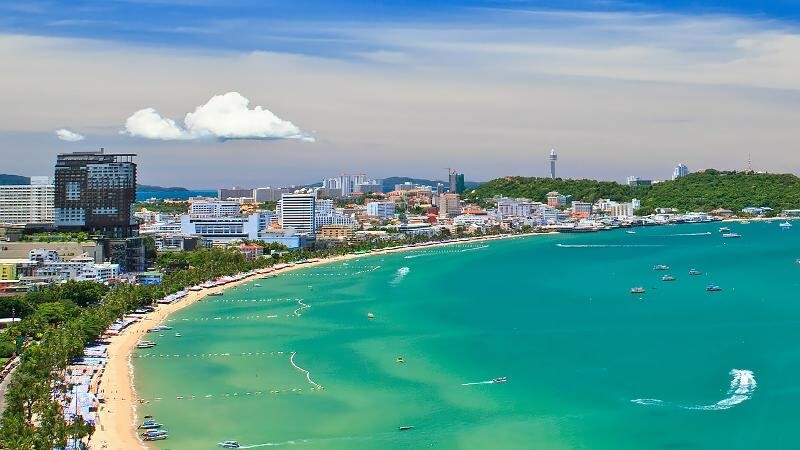 Pattaya is the closest of Thailands major beach resorts to the capital city. This racing has been recorded as a history for the past 21 years. The first game took place in 1996 drawing racers from Thailand and neighboring Malaysia and Singapore. Then, it expanded very quickly to cover the Asia Pacific region in 1997-1998, before it was open for racers from all over the world in 1999. With this non-stop development, this event has been well received internationally, reaching its peak in 2007 when racers from more than 18 countries came to race. In 2008, ”the World Cup Grand Prix System” was introduced and acknowlaged by the International Jet Sport Boating Association (IJSBA), with the objective to allow an equal opportunity to racers worldwide, which is in line with the standards of other international sports. Therefore, in all the Pro categories, each nation is allowed to send no more than 4 riders per one category to race and even the host country has to comply with this rule too. This measure is to prove which nation and which rider will deserve the supreme honor of getting crowned ‘The Champion’ of this grand slam. Before the history is passed on to the next generation, this tournament with the double prestigious characteristics under the name “KING’S CUP – WORLD CUP GRAND PRIX” will stand as the moment that gives out the greatest experience to everybody.